That’s never the way you want to do advertising. Anywhere. You want to put a target on your customer’s back and aim for that. Your advertising should hit the target and fit into your customer’s life story at the right time and place. Before you target or start venturing too far into advertising, make sure you at least have a complete Facebook profile. With a complete online presence for your small business, you’ll have more success with your Facebook ads. Targeting is the act of understanding who your customer is and what makes them tick. Take the information you know about your customer and create advertising that is where they are and speaks to them. While every person is unique, there are generalities that you should be speaking to. If you can’t tie your product or service into something that speaks to your customer then you probably are offering something that nobody needs. 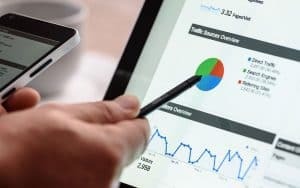 With proper targeting and a strategy to how you advertise, you’ll fit your product or service into someone’s story that connects with them. If you target a specific audience, there will be many benefits to it. If you do Facebook ad targeting right there are endless benefits. Your advertising dollars will go a lot further. No more wasting money putting your ad in front of someone who doesn’t matter to your small business. If someone might have an interest in your product or service, you’re sure to be in front of them with a targeted ad. With an understanding of your audience and their story, you can fit your product into their story. If you can fit your product or service into their story, you can help them complete their story. That means you’ve found a customer or someone who will soon become a customer. 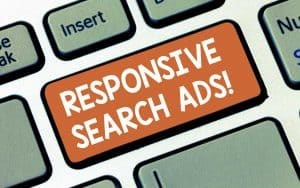 Advertising is all about spending as little money as possible to find a qualified lead. Targeting ensures you’re going to pay as little money as possible to get a qualified lead for your small business. Facebook ad targeting is easier than on any other platform. So how do yo do it? Every platform offers a way to target. Some platforms are more powerful than others. Facebook has some of the most powerful targeting options of any advertising network. Where does the power of Facebook ad targeting come in? 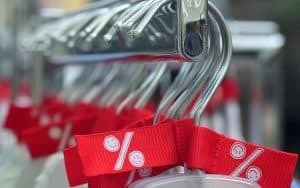 Before you even get started with advertising, target your perfect customer in Facebook. Who are they? What are they looking for? What will help them? Where are they at? Ask every question you can to understand your customer perfectly. Once you know your customer, try to lay out everything that makes them tick in Facebook Audiences. 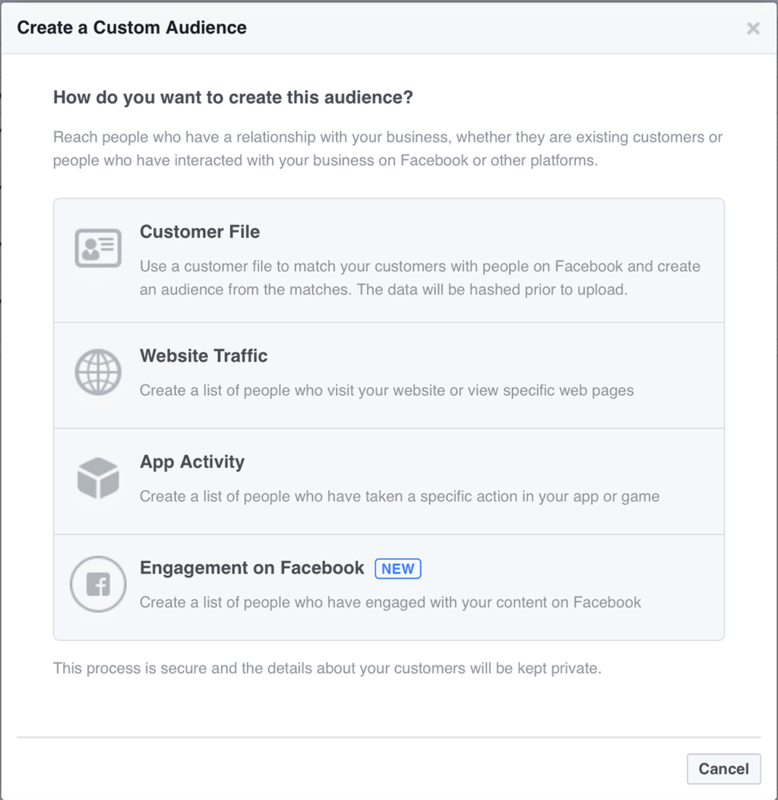 You can access Audiences in the Facebook ad platform by click the menu icon (step 1) and then clicking Audiences (step 2). 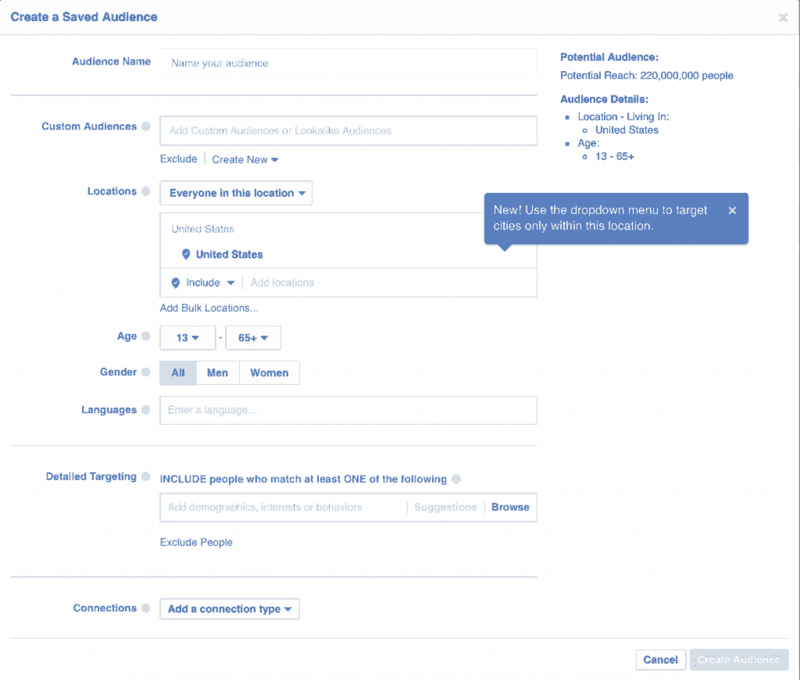 From there you can create different types of audiences based off of other Facebook criteria. Each one has its own benefits. Your choice may change depending on your current social media online presence. You can reach people you’ve already connected with using this option. Facebook can track people on your website if you put a special code on your website called Facebook pixel. 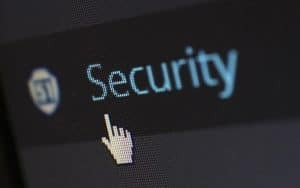 Facebook can also allow you to target people who belong to your email list or a file of customer email addresses you already have. 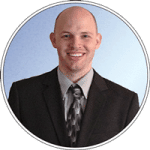 If you have a large email list or your website has high traffic, this option is great. If you’re just getting started, though, one of the next two methods will be better for you. If you already have a lot of Facebook likes on your page or if your audience can be boiled down to one geographic area this option is for you. You can target people who look like those who have already liked your page. That’s great if you have hundreds of likes who are like your audience. If you have a lot of likes from family members and acquaintances, this option won’t work well. Targeting by location gives you many options such as targeting a specific country or even regions. Regions can get fairly targeted around economic activity. You can target developed areas or developing areas. Facebook will create an audience for you that looks like the people in the area you’ve chosen. Again, these options aren’t very specific and in many cases you can do better. That brings us to the third option. This is the most precise way to create an audience that matches your ideal customer. You can have multiple audience and they can get so granular you only target a few hundred people. You can start broad (like with a country) and then start targeting more granularly. I target a specific country for people in a certain age range and then get into the detailed targeting. With targeting I can target small business owners who are interested in entrepreneurship while eliminating those who are marketers or website designers themselves. Make sure you’re using both the include and exclude people options together in detailed targeting. 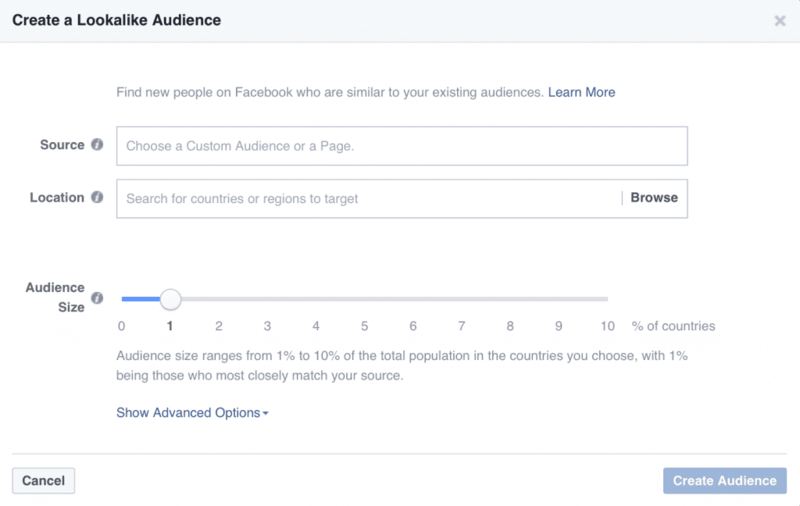 Facebook will in real-time tell you about how large your potential audience is. All these targeting options and the real-time audience gauge will let you target your specific customer without getting too targeted. With proper targeting you’re setting yourself up for a successful ad on Facebook. Once you’ve figured out targeting and have the perfect ad, it’s time to complete the journey. Bring people back to something that’s worth it to follow through with. Your home page isn’t a good landing page for an ad. Have a targeted squeeze page with an offer that fits the ad and is hard to refuse. Don’t ask for too much information. An email address and name should work. A well-built online presence and web page can give you opportunities to create great content and a great landing page for your ad.